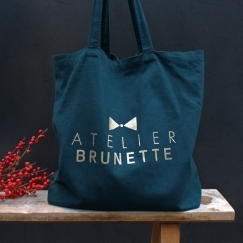 To offer or to keep for yourself, the Atelier Brunette limited edition tote bag comes in various colors. 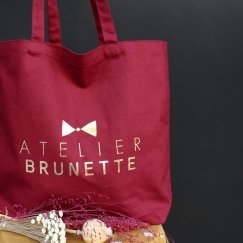 With its golden logo, luxury comes to Atelier Brunette. Functional and fashionable, this large and sturdy bag can accompany all of your sewing goods, daily shopping and weekend getaways.